Millions of patients suffer from end-stage organ failure or tissue loss annually, and the only solution might be organ and/or tissue transplantation. To avoid poor biocompatibility–related problems and donor organ shortage, however, around 20 years ago a new, hybridized method combining cells and biomaterials was introduced as an alternative to whole-organ and tissue transplantation for diseased, failing, or malfunctioning organs—regenerative medicine and tissue engineering. This handbook focuses on all aspects of intelligent scaffolds, from basic science to industry to clinical applications. Its 10 parts, illustrated throughout with excellent figures, cover stem cell engineering research, drug delivery systems, nanomaterials and nanodevices, and novel and natural biomaterials. 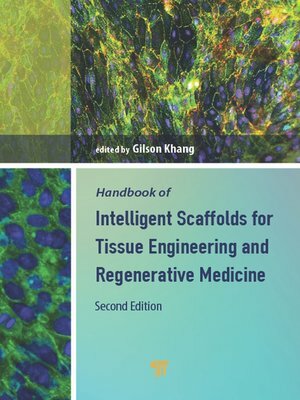 The book can be used by advanced undergraduate- and graduate-level students of stem cell and tissue engineering and researchers in macromolecular science, ceramics, metals for biomaterials, nanotechnology, chemistry, biology, and medicine, especially those interested in tissue engineering, stem cell engineering, and regenerative medicine.